If you’re craving Pizza Norwalk CT, Piazza Pizza & Pasta should be on your to eat list! 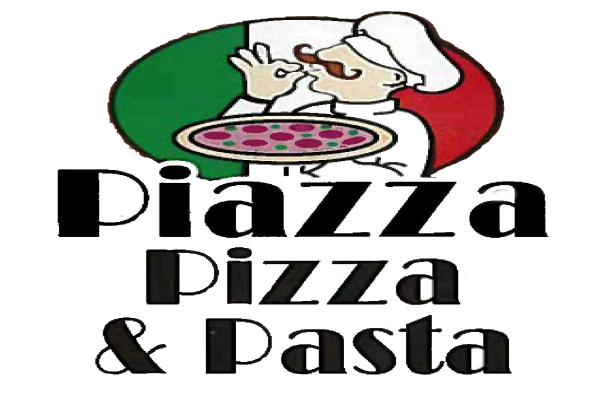 Located on 500 Connecticut Ave, Piazza Pizza & Pasta offers some of the best NY style pizza Norwalk CT! They even give you 2 free cheese slices and a large fountain soda after every 5th visit! Talk about a deal! The NY style pizza is what put them on the map, and it’s for good reason. 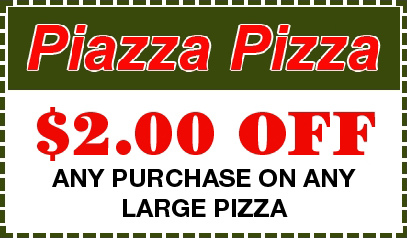 Are you looking to enjoy some NY style pizza right here in Connecticut? At Piazza Pizza & Pasta, we are dedicated to offering the best variety to all of our patrons in the Norwalk and surrounding CT area. One taste of our famous pizza and you will surely fall in love at first bite. Trust us! We know pizza, and our taste testers who are all from NY approve with two thumbs up. You’ll devour this pizza in a NY minute! Every item on our menu is prepared with fresh, high-quality ingredients, and you will never receive any leftovers because our food is made fresh daily. We take pride in our dough, as it offers a signature taste and texture unique to Piazza. Need Italian Corporate Catering Norwalk CT? Just call or pop in and ask our staff about our catering options! We are conveniently located within the Darinor Plaza near Kohl’s Department Store. We offer everything on our pizza take out menu from appetizers, soups, salads, grinders, Italian entrees and more. When you want a pizza take out menu with variety, you can always rely on Piazza Pizza. Owner Eddie and John are always in and ready to greet you with a smile and of course some amazing pizza and Italian dishes. Take advantage of our special offers today! With our extensive menu, there is something for everyone to enjoy! 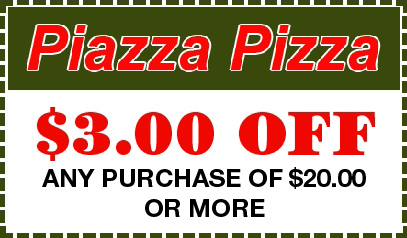 Piazza Pizza and Pasta is Fairfield County’s Finest! Really good ny pizza – probably the best in the area. Been going for years? Great little spot for pizza and Italian style dishes. I’ve been going for years and the owners are always in which is nice since family style food always tastes better than these commercialized chains? Good pizza and reasonable prices. I work right next door and know the owner. Great people and great food. Really good pizza by the slice and pasta dishes are always very good. Not too many places in Norwalk make better NY style pizza. A must try if you’re new to the area or just looking for some good tasting pizza. Really good pizza and subs. Try the lasagna pizza – probably one of the best I’ve had!